Whether you are planning a “stay-cation” or an elaborate vacation to a exotic foreign land, eating away from home always presents a few obstacles. Maintaining your at-home healthy eating habits and avoiding the pitfalls travelers often face, can be a challenge. Pre-planning is the key, which can mean the difference between completely abandoning your healthy lifestyle or keeping you on track. Incorporate some or all the following tips to insure you have a healthy, happy, trip. 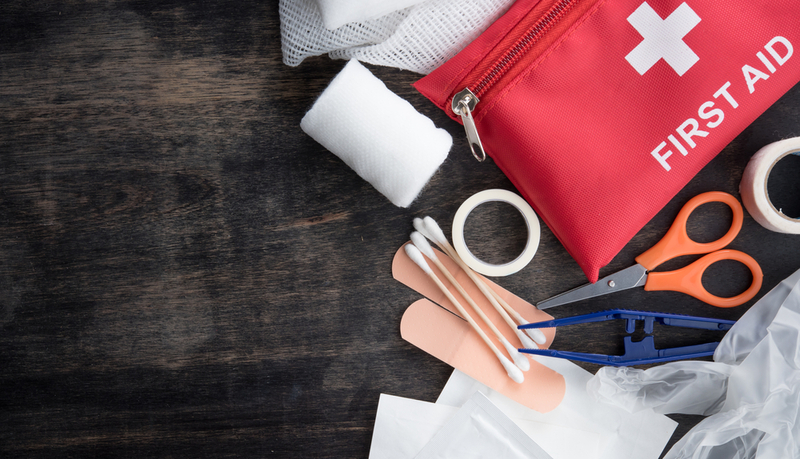 Pack a healthy eating kit – A small cutting board, pairing knife, collapsible cooler,utensils, zip-lock baggies, a few spices, a small container of dish detergent, and a bowl with a lid. The bowl can be used for snacks, salads, or soups. The lid can be used as a plate and both can be used to store leftovers. If you are flying, pack the pairing knife in your checked luggage and make sure the spices are in their original containers. High powered blender – With a high powered blender such as a Vitamix, travelers can easily whip up healthy and nutritious smoothies, warm soups, and fresh salad dressings. Locate a hotel with a kitchenette or refrigerator – Check ahead to see if your hotel has a kitchenette where you can prepare your own meals or at least a small refrigerator. Numerous hotel chains will offer to put a mini refrigerator in your room for a nominal fee or many times for free if it is for medical reasons. Restaurants – If possible, use some of the apps or websites that are readily available such as urbanspoon.com or HappyCow.com to search ahead of time for healthy dining options. Once at the restaurant, scan the menu throughly then order items that are the least processed and always stay clear of items that have been fried or are laden with fat. Be mindful of portion sizes and avoid overeating. Pit-stops -During long road trips, travelers often need to fill their gas tanks and also their stomachs. Truck stops and convenience stores are starting to add fresh fruits to their inventory so instead of reaching for a processed snack grab a banana, apple, or a bag of unsalted nuts instead. Plan for possible delays – Whether traveling by car, plane, boat, bus, or train, assume there are going to be delays and plan accordingly. You are more likely to make smart food choices when you pack snacks such as energy bars, fresh and dried fruits, nuts and seeds, and pre-cut vegetables. Stay hydrated – Drink plenty of water or coconut water, which will replace electrolytes. Humidity on fights is low so continually drink water to stay hydrated. It is best to take small sips throughout the day instead of trying to gulp down a large bottle at one time. Drink more than usual if you are sweating or in the hot sun. Since alcohol is a diuretic, alcoholic beverages should be avoided. Flying – Unless you are certain there are healthy options at the airport, plan to carry-on your own food. Nut butters and hummus are great items to keep hunger at bay. However, it is best to make a sandwich or wrap ahead of time with the nut butter or hummus since both will most likely be confiscated when going through security. In some airports, containers of nut butter or hummus are considered liquids and may exceed the maximum liquid limit. Cruises – Typically all meals are included on cruises. 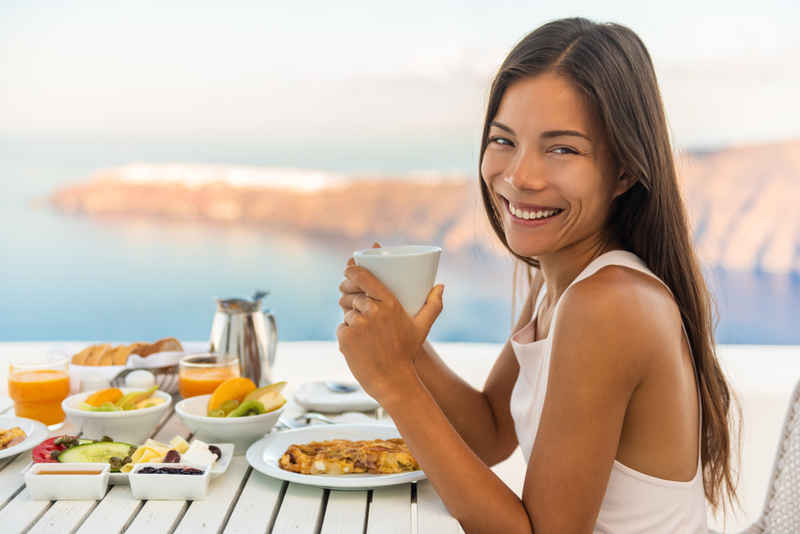 However, if you are traveling with special dietary restrictions, it is best to notify your travel agent or cruise line at the time of booking. Most cruise lines are extremely accommodating with advance notice and will many times assign you with a special dining employee to make sure all your dietary needs are to your satisfaction. All-inclusives resorts – These resorts are becoming very popular in the Caribbean and Mexico. All-inclusive resorts are very similar to cruises where all meals are included. The resorts are very accommodating with advance notice. Many have huge buffets that offer a variety of vegetarian, gluten-free, sugar-free, and even made to order smoothies with all fresh ingredients. Typically, either the resort chef or a member of his/her team will meet with guests who have dietary restrictions to insure all their needs are met during their stay. Catrell Cooney is a holistic health coach, personal trainer, Zumba Instructor, world traveling vegetarian, and wellness travel specialist. On Catrell”s site The Wandering Coconut, she shares recipes, products reviews, travel and health tips. Her and her husband also own and operate their own travel agency at Cooney World Adventures specializes in wellness and adventure travel. Plus they assist individuals traveling with dietary restrictions. Catrell Cooney is a holistic health coach, personal trainer, Zumba Instructor, world traveling vegetarian, and wellness travel specialist. On Catrell''s site The Wandering Coconut, she shares recipes, products reviews, travel and health tips. Her and her husband also own and operate their own travel agency at Cooney World Adventures specializes in wellness and adventure travel. 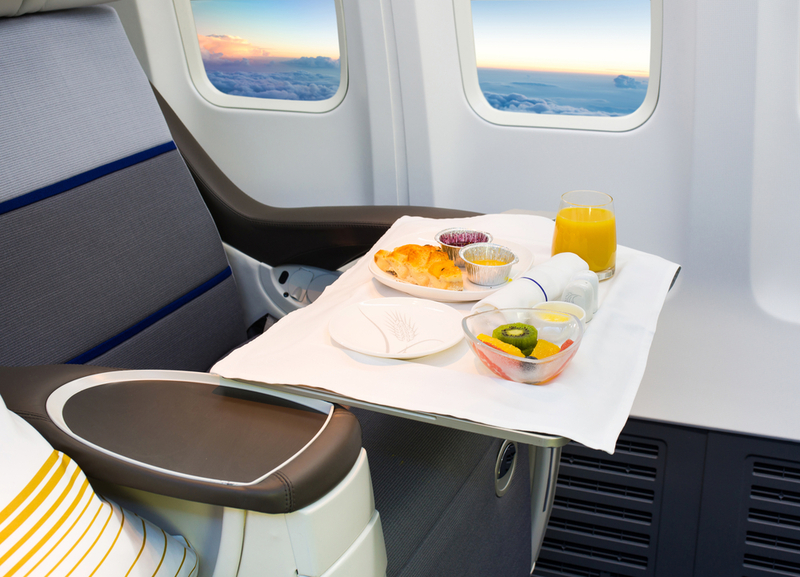 Plus they assist individuals traveling with dietary restrictions.